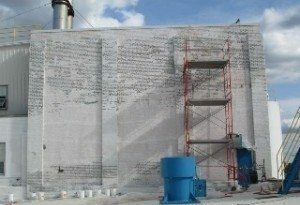 TMI Coatings was hired by a Fortune 500 company to perform building restoration work on the exterior of their grain elevator facility. The 7,000 sq. ft. of older brick was pressure washed to clean and identify repair areas. 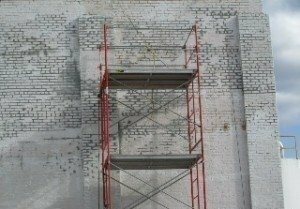 Tuckpointing was performed on thousands of sq. ft. of wall surfaces where mortar joints in the brick were badly deteriorated. 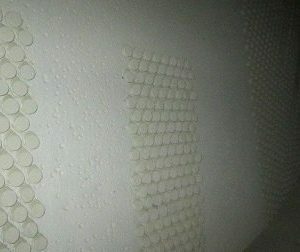 An elastomeric coating was installed on the entire wall surface to ensure a waterproof finish. A blue accent line was installed on the top portion of the building to create an aesthetically pleasing finish. The customer was very pleased with the quality of the work and our safety. 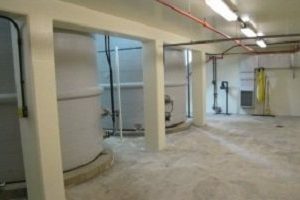 TMI Lines FRP Water Treatment Tank.